I’m pretty much like many of you when I wake up in the morning. Coffee calls out from the depths of my veins and needs to be satisfied. 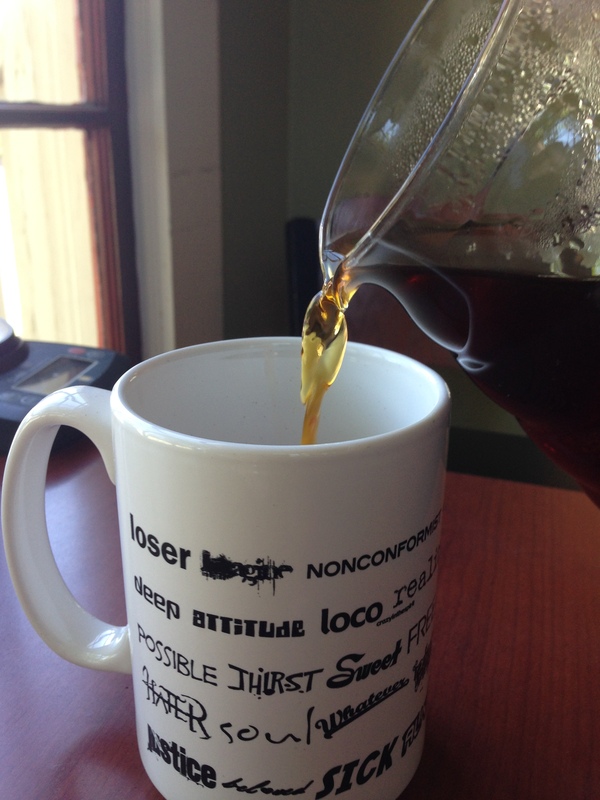 When I was younger I started with loving the idea of loving coffee. I would go to a gas station and pick up a “cappuccino” and walk around my high school feeling like an adult. I then started to feel confidence and pride over being the “coffee guy”. I never refused a cup and would always be willing to make a pot should someone mention the idea of wanting some. I would stalk the creamer aisle for new flavors to try because the actual coffee didn’t mean much to my taste buds. However, I definitely wanted to taste the latest in flavored confections. My morning cup would start the night before, I would add water and very much pre ground coffee to an automatic coffee maker so in my groggy dragging my morning feet awareness of the world all I would need to do is press a button and then walk away. My coffee journey has taken me a very long way and I’ve loved learning, exploring, and seeing just how deep this rabbit hole is. Confession: I’m no where near the end and have a tremendous amount of to still learn, grow, and experience in the coffee world. I have a feeling that will always be the case. I’ve fallen more and more in love with an unrefined method I often describe to customers as pouring water over coffee through a filter. For coffee professionals it’s much more complicated than that, but as the same moment it’s poetry in the form of creating. It starts when I wake up, well, it actually starts thousands of miles away in a coffee field and I hope I never forget this. But in the morning it starts when I wake with the anticipation of tasting something possibly life changing. I no longer struggle to the kitchen to push a button. Now I start with measuring. Science and creativity go hand in hand in the coffee world and this coffee deserves to be as perfect as possible. 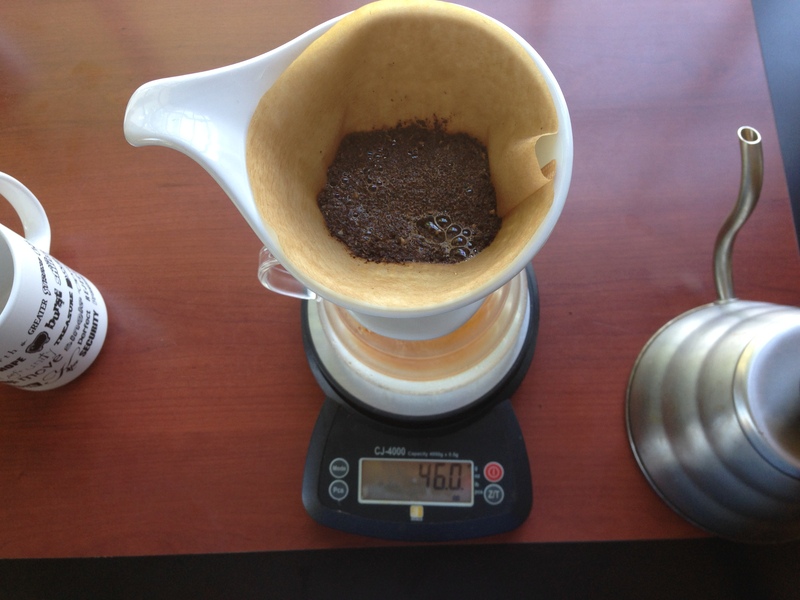 It has traveled the world and meticulously grown, sorted, processed exported, and roasted. 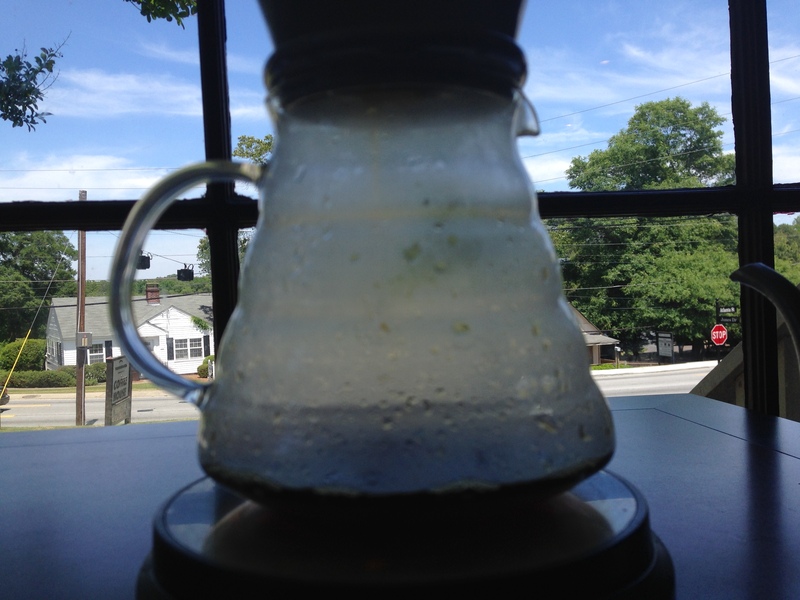 It has changed the lives of others and that tiny bean deserves to see it’s beverage potential realized. I turn on my scale and measure out 23 grams of coffee. The tiny trickle and ping of the beans dropping on the scale is an unknown name of a hand who is responsible for the behind the scenes work before it arrives. It’s also a prayer of thanksgiving and blessing for the ones I can’t name. 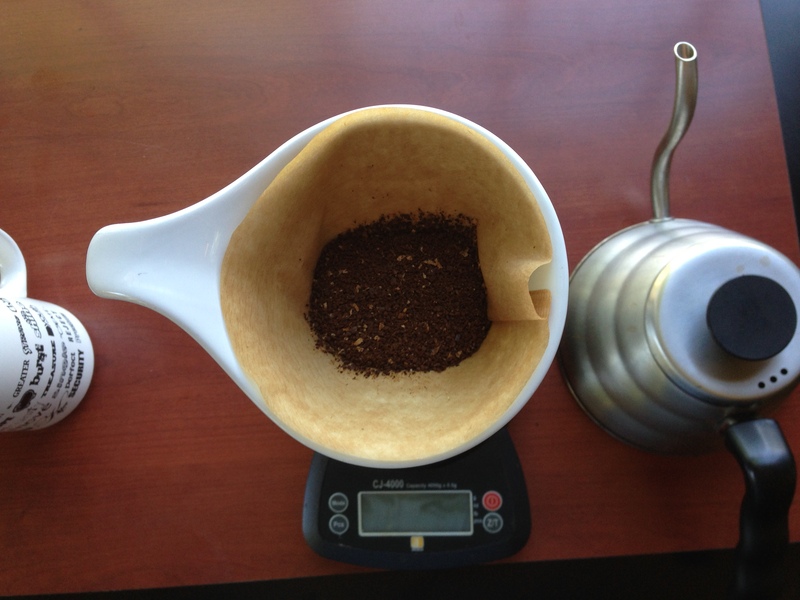 I adjust the grinder to a medium fine setting and drop in the coffee. Turning on the grinder I wonder what this is going to taste like, once it’s been ground taking in the fragrance of the dry coffee, my poetic vocabulary falls short of the wine connoisseurs or other coffee people I know that beautifully describe what they smell. For me, it reminds me that what I’m about to partake in is the holy work of farmers, washing station workers, roasters, and coffee makers. 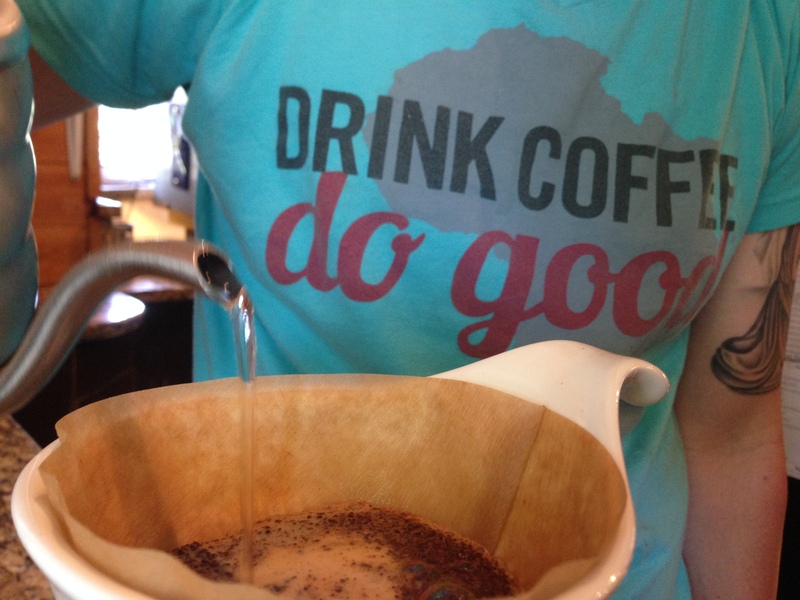 We dream of finding the perfect cup that delights our palates and souls. After I start to boil filtered water in a swan-neck kettle I rinse the filter with hot water and discard the rinse water before placing the ground coffee just so in the filter. 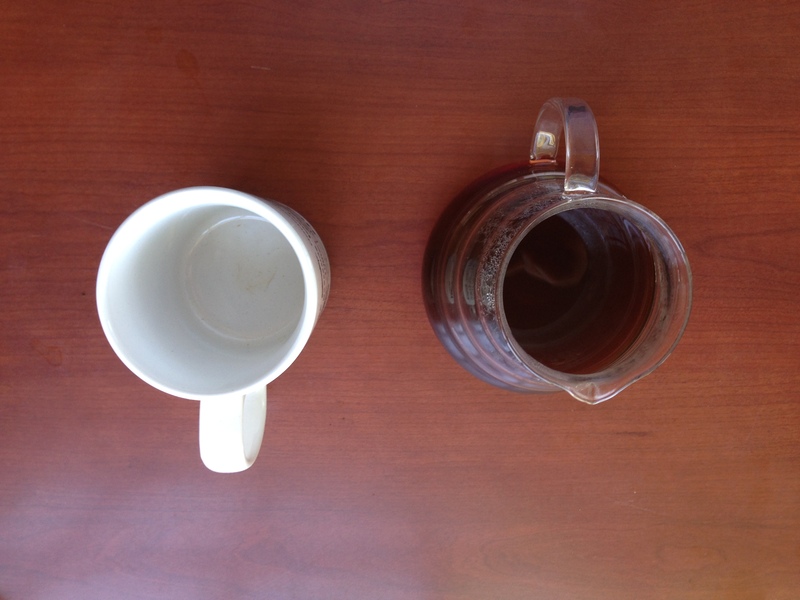 This is my favorite moment, looking down on the coffee before water even touches it. It sounds abnormal but it’s almost as if the coffee is standing on edge waiting for the just off boil water to begin the extraction process. The water boils because science tells us in order for the correct chemical reactions to occur it needs to be between 195 and 205 degrees. This moment of expectancy gives way to an explosion of CO2 as 46 grams of water covers the coffee for what is often referred to as the bloom period. Gases pop off the freshly roasted, just ground coffee. If water touches the ground coffee and it doesn’t start to blossom, it’s old and stale. 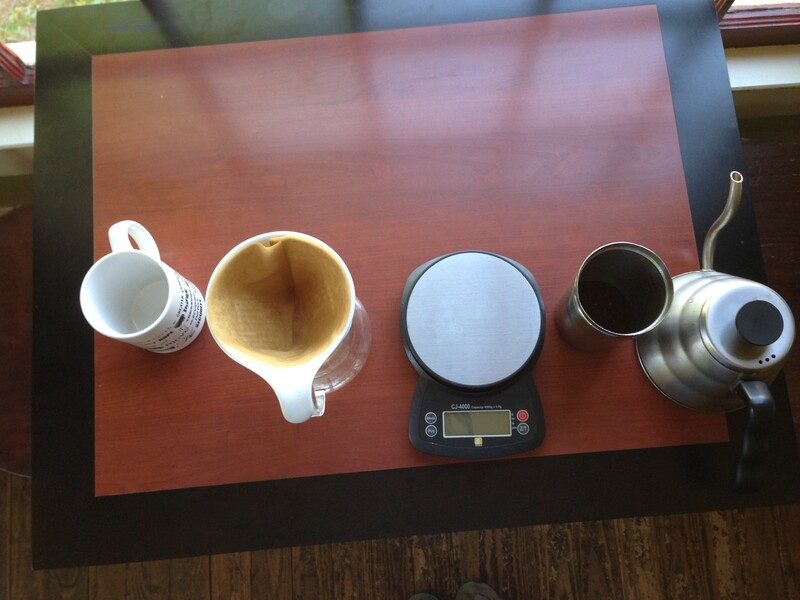 After about 45 – 60 seconds of watching the coffee prime much like a preheating oven or grill, starting in the center I pour concentric circles with the water, a mushroom cloud like affect occurs as I pour another 100 grams of water and the coffee starts a consistent stream into the cup below. There is a rhythm to the next few minutes, pour, wait, pour. Don’t pour too little, don’t pour too fast, don’t pour from too high, it’s a dance and to some people, more beautiful than a ballet. Sometimes I catch myself staring as the coffee falls into my cup wondering what it’s going to taste like, will this time be better than the last time, will this work be worthy of the people who made it possible for me to drink this? There is mystery before the first sip, there is complete and utter excitement. I pour 400 total grams of water and observe the magically properties of gravity pull the water through the coffee I stand at attention waiting to pull the filter just as the water disappears from the top of the filter to a clear view of a flattened coffee bed. I discard the filter, rinse the pour over device and allow the aroma of brewed coffee to prepare my taste buds for what I’m about the taste. The actual tasting is magical but it’s this process that has helped to tap into a creative side of myself I never knew existed. 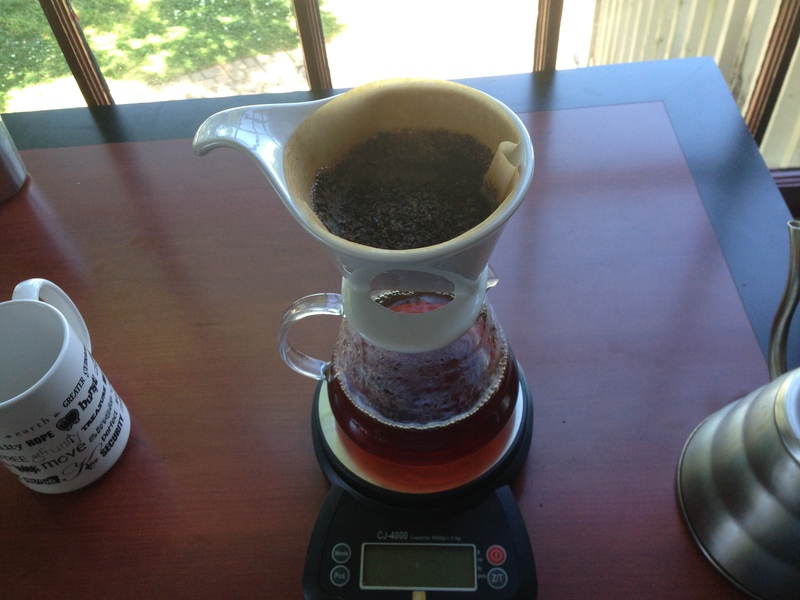 The precision and exactness of gram scales, thermometers and burr grinders. Mixed with poetry of pouring technique and brewing recipes. This process might seem silly to think of in this way, it might seem like I’m a complete coffee snob. Maybe I am. What I know is this process is something I have the pleasure to do for each of my customers who walk in my cafe. We have the wide range of people who are satisfied with anything that is warm, dark, and gives them a jumpstart, to the people discussing extraction percentage and TDS. The passion for quality is driven by a pursuit of loving people by giving them my best, in word and deed. This methodical process has taught me patience, it has taught me why hand made materials are more expensive and how sometimes the poetry I love to speak can be made manifest in the actions to another.